Whether you plan to sell your home, or you just want it to make a better first impression, there are lots of curb appeal ideas & projects you can complete in just one day. Oh, and they won’t make you break open the college fund either… A little bit of work and you can change the look of your home and increase it’s value. Try a little DIY curb appeal and see if you don’t fall in love with your own home! (And make your neighbors just a little bit green with jealousy, too! This DIY house number planter is from ‘Go Haus Go‘, and we think it may be one of the fastest projects for curb appeal you can find! Its really a semi-DIY project, but as long as it’s fast, cheap and amazing, who cares! 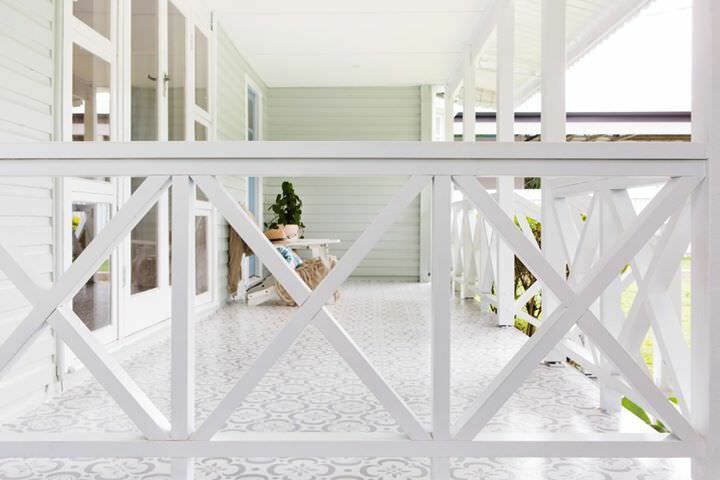 From ‘So Much Better with Age‘, try updating your front walkway with paint! Reminder, you can do this checkerboard pattern even if you just have a plain concrete walkway. Just tape off squares! Be sure to check out her before and after curb appeal photos so you can see how gorgeous it ended up. Great instructions in this tutorial. 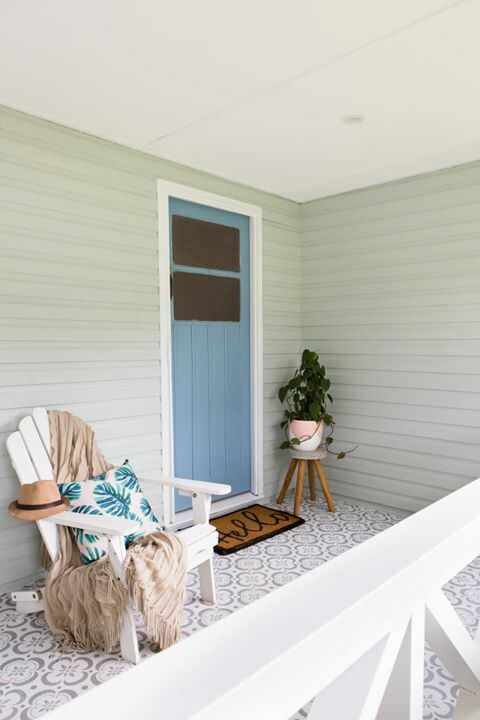 While we’re on the subject of painted porches, check out this video by Rachael Turner from ‘Front Porch Properties‘. 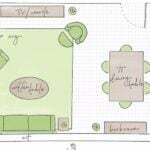 Learn how to stencil a concrete porch with her easy to follow instructions. The video is only 3 minutes long, so you can definitely find the time to learn this technique. And check out that porch!!! If you have a plain Jane concrete front walk, then you need this curb appeal idea! From ‘Nesting with Grace‘, their before photo of this walk is a broken, old concrete path like many of us have. They discovered they didn’t have to pull up the whole walkway to make it over! They laid this marble gravel path right over the old one. Done in day, curb appeal on a budget! 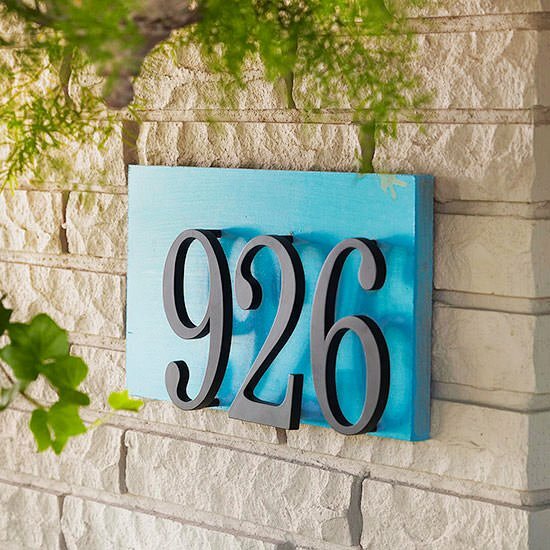 This DIY house numbers plaque is an easy one, from ‘BHG‘, Simply mount metal numbers to a piece of MDF board painted the same color as the front door. Done! 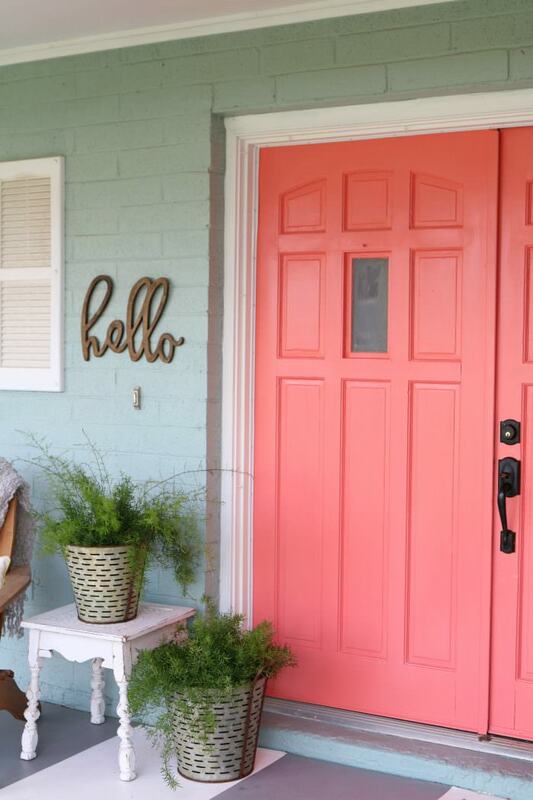 And speaking of front door colors… ‘Lolly Jane‘ just captured our heart and guaranteed our next front door color will be this amazing coral. Make a slightly untraditional door color choice, and change your curb appeal to something awesome. Paint. That’s it! And yes, they have a tutorial showing you just how to paint a front door! 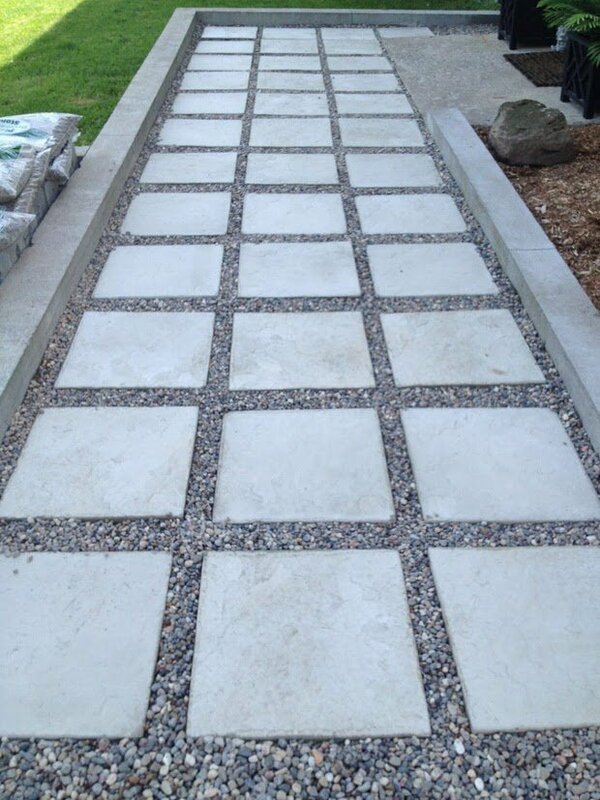 Val at ‘Zen Shmen’ shares her DIY front walk makeover, and this looks so inviting! 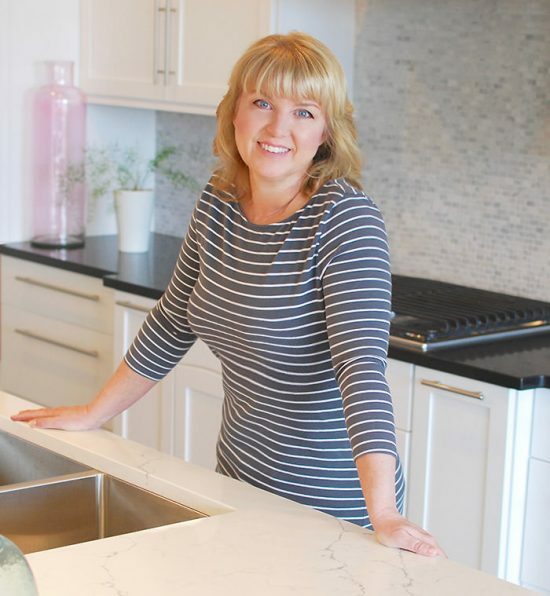 She walks you through the whole project step by step… You might want a helper for this one to get it all done in one day, but so worth it! Need a pop of color to make your home stand out? 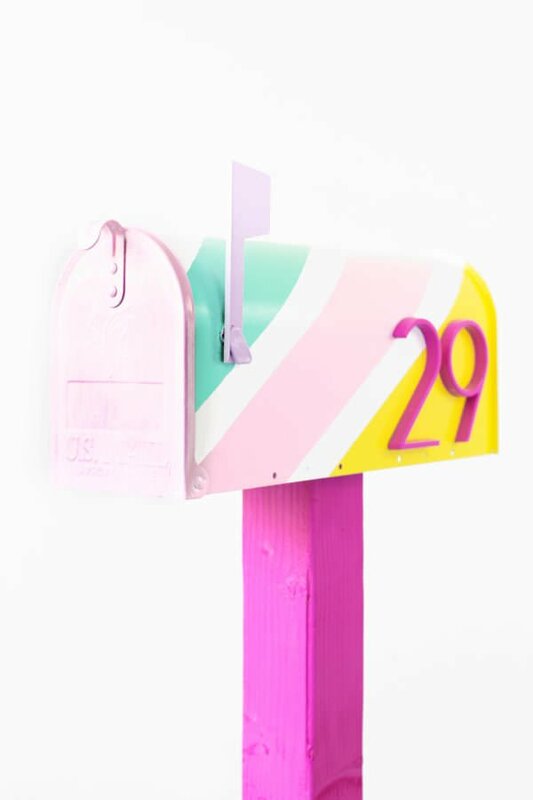 Then try this DIY mailbox makeover by ‘Studio DIY‘! Fast and easy curb appeal idea that you can do in a day. Choose your own colors, and add address numbers too! Step by step instructions for this project. Love it! Need a mailbox for more traditional tastes? This DIY mailbox makeover from Traci at ‘Beneath My Heart’ looks like an expensive custom installation, but they did this themselves! It’s easier than it looks if you read through their tutorial… Definitely click through and check out her before and after photos! Big curb appeal! 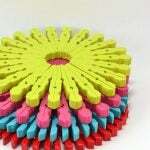 Check this out from ‘Craft Pro‘. Power washing your steps or driveway can take a dingy looking front walk and make it look brand new. You can rent power washers for a small fee. Easy, and fast! Do you have garbage cans or an ugly air conditioner that can be seen from the street? 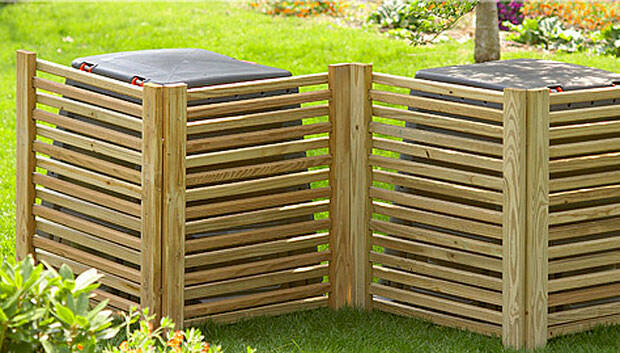 Then build this compost screen with the tutorial from ‘Lowes’. Easy project to hide those utilitarian things we can’t move. Would you like one day curb appeal ideas from ‘BHG‘? Done. 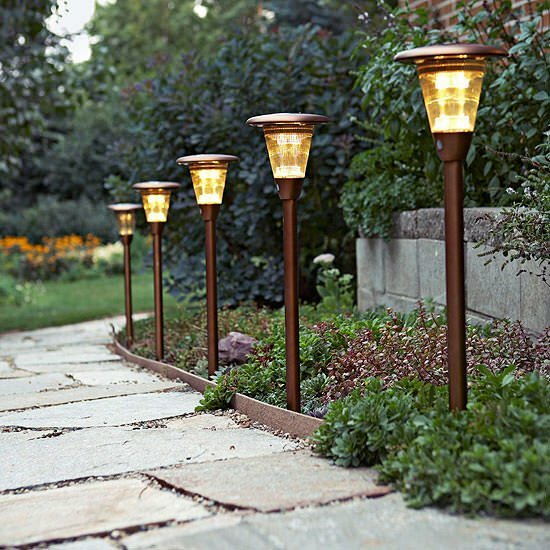 Install low voltage lighting, or solar lighting along your front walk. You can find these at any home improvement store. 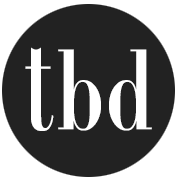 And if you need more help with that project, jump on over to visit our sister site TGG and our post on How to Install Low Voltage Outdoor Lighting. 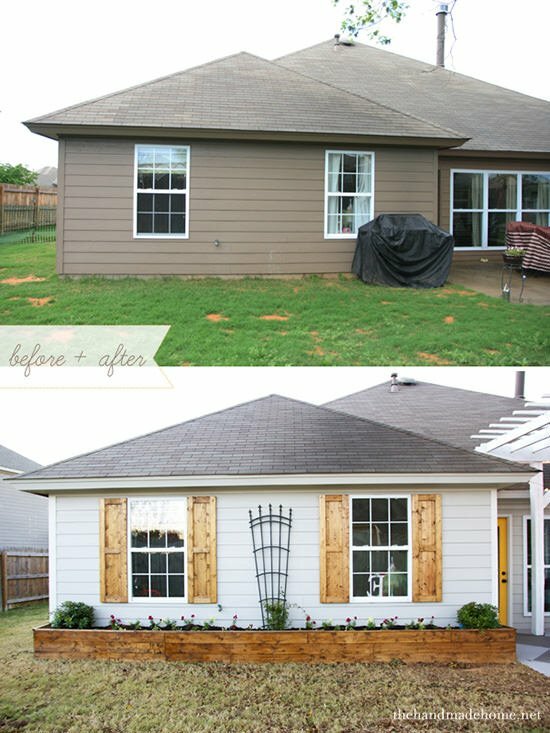 Finally, Jamin and Ashley from ‘The Handmade Home’ show us how to build shutters… The before and after kinda says it all about these curb appeal ideas, doesn’t it? Ok, that should keep you busy this weekend, right? Do have any one day curb appeal ideas & projects? Share in comments! If you enjoyed this post, you might want to check out DIY Projects with Old Windows! 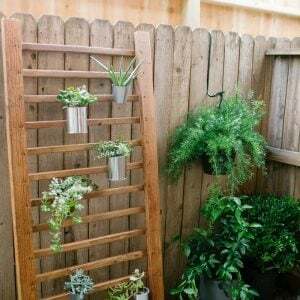 or our post Boost Your Home Value With These Easy DIY Projects on our DIY, Home & Design, Lifestyle Blog – OhMeOhMy! Thanks so much for including our DIY front path makeover in your post! It was such a fun project and quite simple to do (though it take take some muscles!) and it transformed the front of the house. Come wintertime we added a long cocoa mat runner over the stone pathway to make it easier to shovel the snow away without scooping up a bunch of the small river rock pebbles. The last idea with the before and after is quite deceiving as we are led to believe, according to the picture caption, that the only change is the shutters. There is QUITE a lot going on with the changes between those two pictures! I do like the shutters though and think I could get that done in a day without breaking the bank–throw in the new planter box, new cover over the front door, new siding or paint, new roof, doing something with the tree, new shingles, and moving the grill and that’s much more than a day! While the before and after did show a full project of sprucing up their home, we did just point to the shutter tutorial, and did not intend to be misleading… I think its pretty clear other things were done, but that project itself did make a huge difference… The siding and the roof are the same, it’s simply paint, and the roof just has a different lighting. Hope it inspires someone, all those are really do-able projects!